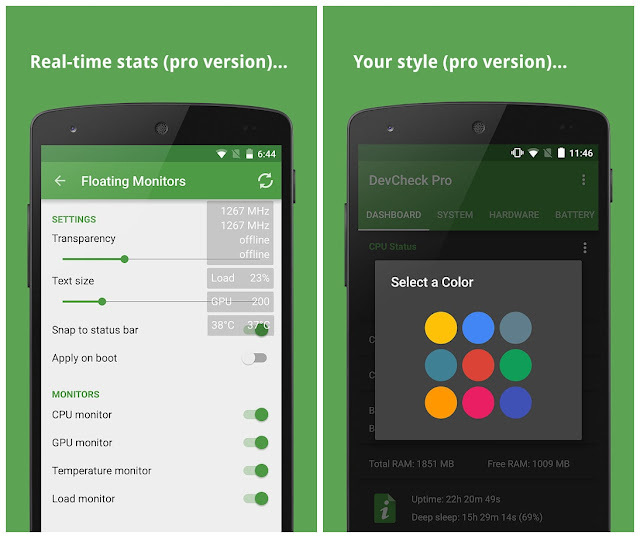 DevCheck Pro gives you all the System information you need to know about your phone or tablet's, hardware and operating system in a clear, accurate and organized way. DevCheck reports the most detailed CPU identification and complete information about your SOC (System On Chip). DevCheck displays the most advanced camera specirfications, including sensor size, pixel size, aperture, focal length, ISO range, RAW capability, face detection, and more (some of this information is not available on older devices). Hardware: displays every known detail about your SOC, CPU, GPU, Memory and storage, including chip names and manufacturers, manufacturing process, frequencies, governor, memory type and bandwidth. 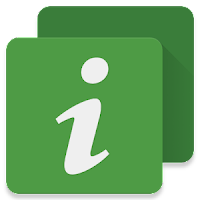 System: get all the info about your device, including codename, brand, manufacturer, bootloader, radio, serial number, device id Android version, security patch level and kernel. DevCheck can also check for root and busybox.